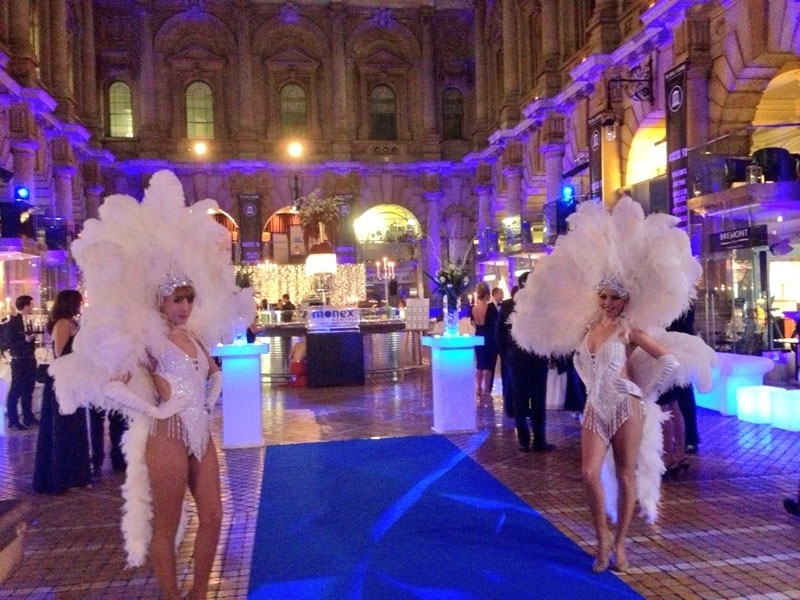 Hire our beautiful showgirl dancers to give your event the wow-factor! 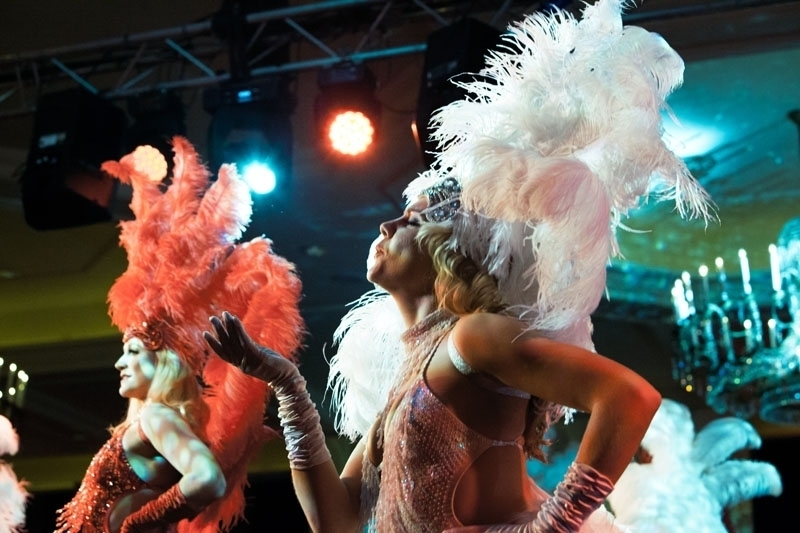 We have a selection of stunning costumes in various styles and colour combinations to match your theme and decor. 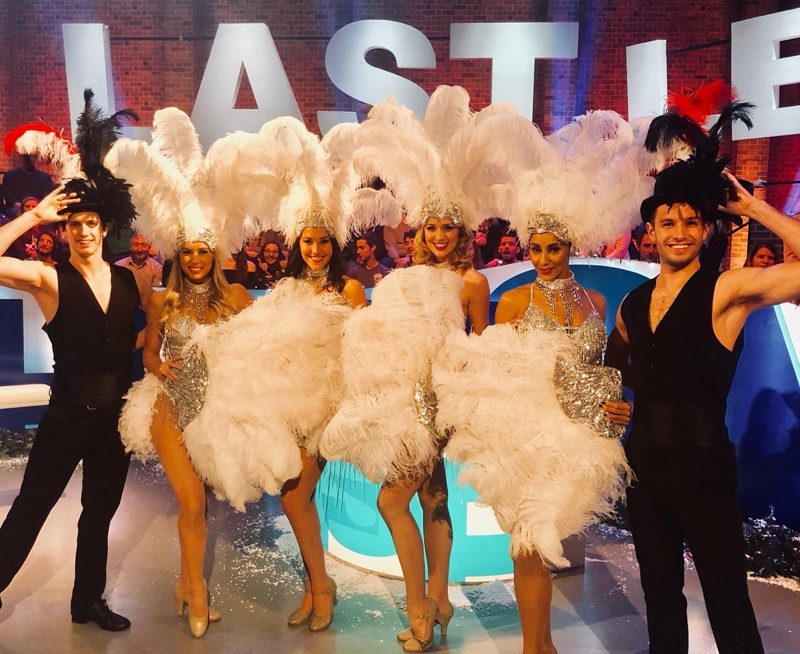 Our showgirls can perform fabulous dance routines that ooze glamour and feature classic high-kick lines, cheeky feather shaking and even audience participation if you so desire! 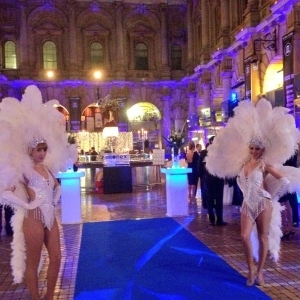 Our showgirl dancers can enhance your event in so many ways. 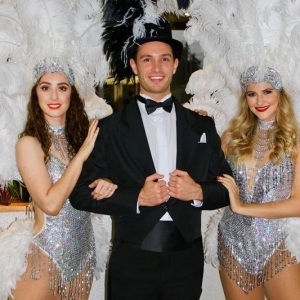 As well as performing a dance routine, they can also take part in a meet and greet to give your guests an amazing photo opportunity. 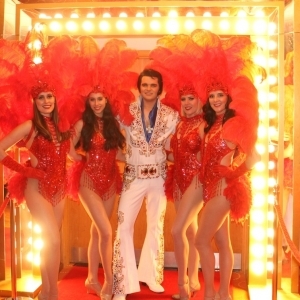 For Las Vegas themed events, we can also supply the UK’s number one Elvis tribute performer, accompanied by our fabulous showgirls. 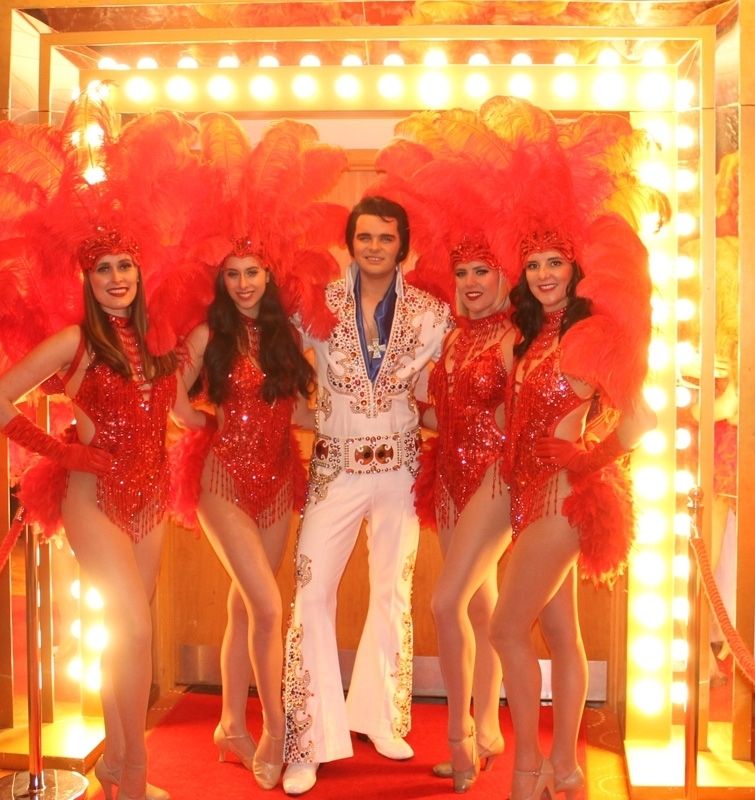 For an extra treat, our dashing Showboys can also make an appearance. 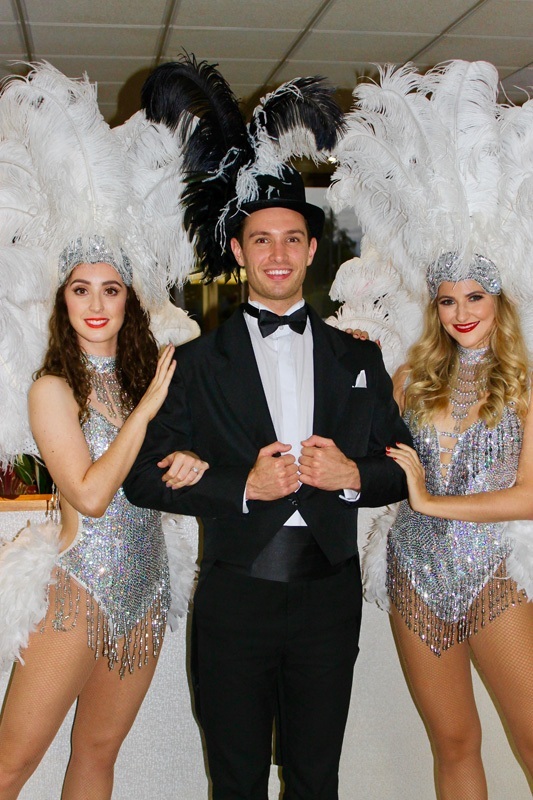 In their smart tuxedo outfits and feather adorned top hats they add an additional splash of glamour both to the meet and greet and performance. 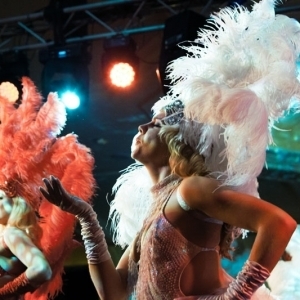 Looking for showgirls with a twist? 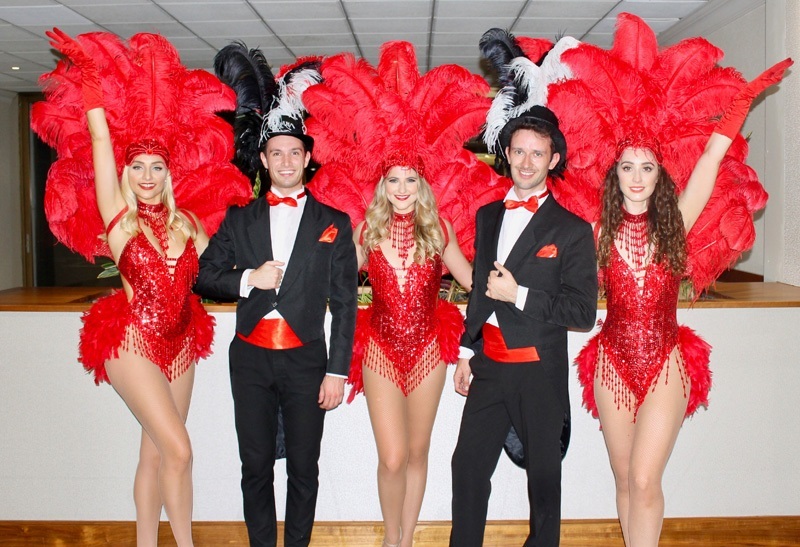 Click here for information on our fabulous new Queens Guard Showgirls!